Running your business just became a whole lot easier, more productive, more efficient and more profitable. fault guidance and diagnostics — the first time. Innovative features that can help drivers improve their overall driving performance. 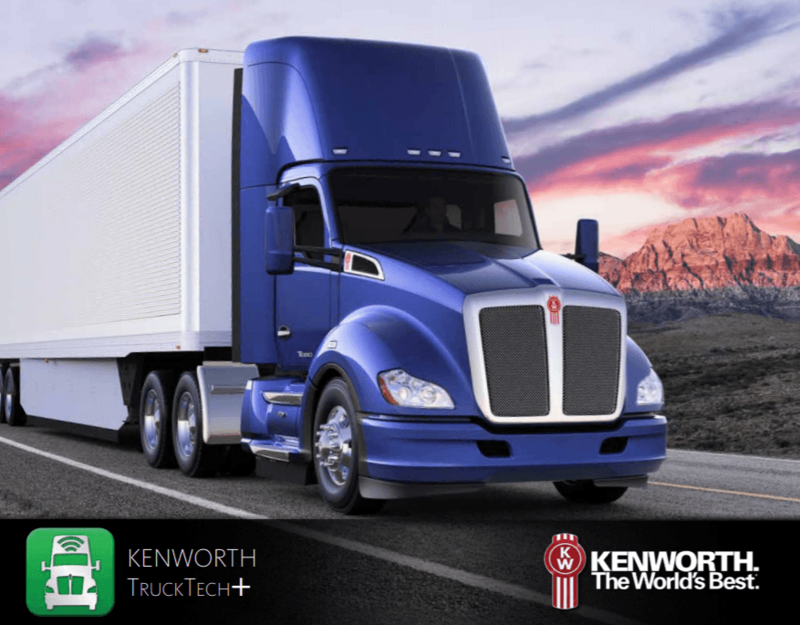 Kenworth’s Driver technology suite is all about getting you further down the road with fewer fuel stops by helping your drivers do their best work with tools such as predictive cruise control. In the incremental business of saving fuel, superior aerodynamics will only get you so far. Of all the variables that contribute to an efficient operation, how well a truck can be driven is still the one factor that matters most. And that’s what the Kenworth’s Driver technology suite is all about — getting you further down the road with fewer fuel stops by helping your drivers do their best work. Kenworth’s factory-installed, battery based no-idle system is designed to help long-haul fleets in hot and cold climates to reduce idling time and fuel usage without compromising performance. As a split system, Kenworth’s factory installed option provides one of the smallest footprints in the industry, allowing for maximum storage under the bunk. It also features on-board diagnostics, full automatic temperature control in A/C and heating modes, a digital LCD display that makes it easier for drivers to control the unit, and provides battery monitoring capabilities. A more productive and intelligent solution to stay connected. When you’re keeping one eye on the road and the other on your bottom line, it pays to invest in systems that help you work smarter...get things done faster...connect with the right people...keep you on track...and just plain make it more fun – and less tiring – to do your job. It’s been shown that up to 80 percent of every service event consists of poor or slow communications and processes — lost time, effort and assets that could be better utilized moving your business ahead. View the TruckTech+ Brochure for more information.